Submitted by Kstudio on Fri, 2019-03-29 07:16. 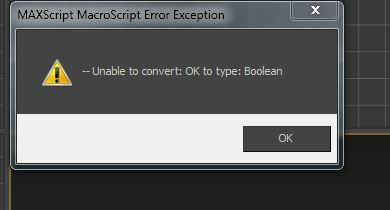 If you mean the message "Unable to convert: OK to type: Boolean" than download the latest version of sweep profile. Submitted by Shady_mmh on Fri, 2019-03-29 07:04. Submitted by Kstudio on Thu, 2018-05-17 06:26. Remove the "SweepProfile.ini" file from directory "C:\Users\%username%\AppData\Local\Kstudio\data\"
Submitted by Localboy_11 on Tue, 2018-05-15 10:07. Submitted by barki on Mon, 2018-05-14 21:28. Submitted by Kstudio on Tue, 2017-01-31 04:42. Please describe more about a problem. What you mean " I do this setting"? Submitted by amanh.s on Sat, 2017-01-28 07:02. I am using 3dsmax 2011, I do this setting but when I go to category "track" doesn't appear . its very basic bug i think but i am beginner . so please can you help me to fix this? Submitted by Kstudio on Fri, 2016-12-23 18:40. In any way - check all permissions for your directories. Sometime they can changed by system or some application. Submitted by lupaz on Fri, 2016-12-23 13:07. Run Max as administrator before installing the script. Submitted by Kstudio on Fri, 2016-11-18 02:13.